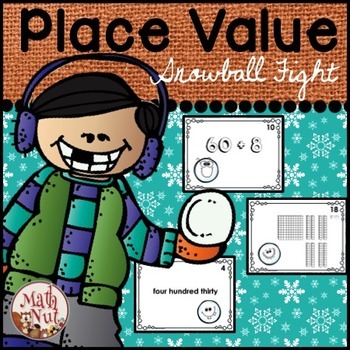 Place Value Game (Snowball Fight) "2nd Grade"
Your students will literally BEG to play this place value game!! This place value set includes 60 place value numerals between 1-500. 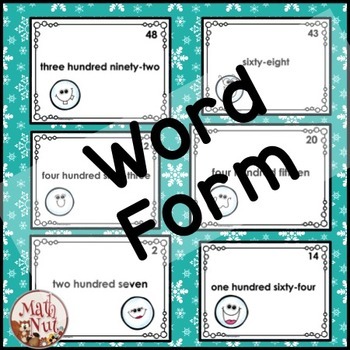 Numbers are represented in word form, expanded form and picture form. Place Value Snowball Fight may be played as a highly engaging whole class game. It may also be played as place value math center in which a pair of students sit quietly a desk and answer task cards. The pages in this set are designed to use very little ink. The cards may be printed one or more to a page; print instructions are included.